Views abound in this spacious 2 bedrooms 2 bath condo in Williamsburg. Views abound in this spacious 2 bedrooms 2 bath condo in Williamsburg. The Gretsch is a beautifully converted historic loft building. This well-laid out loft with enormous oversized windows features an expansive living space. Full baths are complimented by marble and limestone surfaces. In the large zen and spa-like master bath, you will find a double vanity sink, a deep soaking tub and a separate glass enclosed shower. Views abound in this spacious 2 bedrooms 2 bath condo in Williamsburg. The Gretsch is a beautifully converted historic loft building. 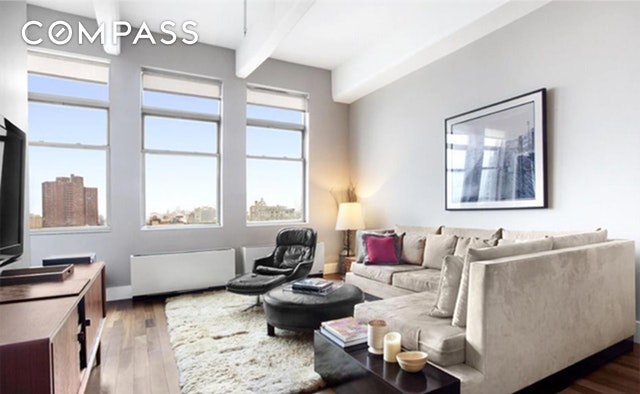 This well-laid out loft with enormous oversized windows features an expansive living space. Full baths are complimented by marble and limestone surfaces. In the large zen and spa-like master bath, you will find a double vanity sink, a deep soaking tub and a separate glass enclosed shower. Take pleasure in having an impeccably appointed open kitchen with top-of-the-line appliances as well as plenty of counter space. 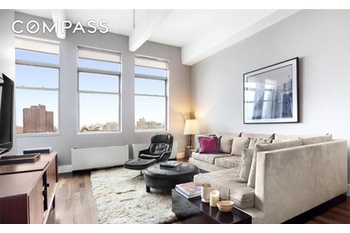 This full service doorman building has 24 concierge service and a dramatic yet welcoming lobby. Located just blocks from the first subway stop into Brooklyn on the L or JMZ train. Close to the waterfront and the great new restaurants and shops lining Broadway.